NETIO PowerCable IQRF 901x is a smart power extension cable that communicates over the IQRF LPWAN network (868 MHz). The 230V/16A electrical socket features accurate electricity metering (A, V, W, TPF, kWh, Hz) and can be switched on and off with full IQRF Interoperable support. With a Smart connect QR code, PowerCable IQRF can be connected to the IQRF wireless network. Then, the DPA protocol can be used to control the output or read the measured values (electrical voltage [V], current [A], energy [Wh], output power [W], grid frequency [Hz], True Power Factor). Communication over 868 MHz can reach hundreds of meters; the range can be extended with repeaters (MESH). PowerCable IQRF is constantly powered, so it also acts as a message repeater in the IQRF MESH network. An important feature for light industrial use is ZCS (Zero Current Switching). This feature ensures that the relay is switched when the current passes through zero level. This significantly extends the relay lifetime. PowerCable IQRF 901x can be used at ambient temperatures from -10 to +65°C. The socket can be controlled over the wireless network and the measured values can be read by any other IQRF product in the same network via the DPA interface. PowerCable IQRF supports the control methods and formats of variables defined by the IQRF Alliance. PowerCable IQRF 901x supports the “IQRF Interoperable” DPA standard for sensors and I/O devices. The product is based on the TR-76D module and allows firmware upgrades over the wireless network. The output outlet state can be checked or written as a standard I/O for output no. 1. Sensor values are read using standard IQRF Interoperable functions (see IQRF-StandardSensor documentation). IQRF is a wireless LPWAN (Low Power Wide Area Network) operating in the 868 / 915 MHz (ISM) band, managed by the IQRF Alliance. The network can work as a mesh and can transfer small volumes of data at surprisingly large distances. 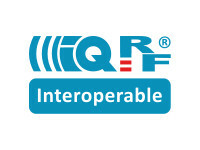 Since 2018, a DPA interface for standard sensors and I/O is defined under the name IQRF Interoperable. This means that measured values can be made available over an IQRF MESH network without a special configuration. The IQRF standard was developed in the Czech Republic; thanks to excellent radio performance and overall reliability, this RF network is used by more than 100 companies in Central Europe. NETIO PowerCable IQRF 901x measures electrical parameters. The measured values are transmitted to the RF network. NETIO PowerCable IQRF 901x measures with accuracy better than 1%. For some applications, it is important to set the correct state of a power output immediately after power is turned on (or restored). The “PowerUp state” parameter defines the behavior of the 110/230V outlet just after power is restored, before the standard communication with the master system is established. For PowerCable IQRF 901x, the value is set with commands in the IQRF IDE. 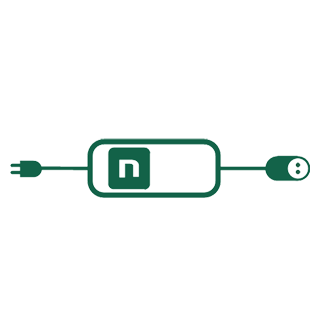 An important feature of NETIO PowerCable IQRF 901x is ZCS (Zero Current Switching). ZCS means that the control relay switches the output power outlet on or off when the current crosses the zero level. ZCS significantly reduces EMC interference generated by switching the 230V output on and off. In the long term, ZCS reduces the product failure rate due to internal relay damage. NETIO PowerCable IQRF 901x is suitable for professional applications. For example, with machines that take a long time to calibrate themselves after power-on, it is important to avoid momentary power switch-off or switch-on. Output control is therefore completely independent from the IQRF network communication subsystem. The on/off status of the output outlet is not affected by any disconnection, internal device reboot or firmware upgrade. Can PowerCable IQRF 901x switch on the output at a specified time? No, at least not without some intelligence implemented in the IQRF network. I have just unpacked the PowerCable IQRF, how do I configure it? See the manual for the up-to-date procedure (download here). Start the bonding process in the IQRF IDE or the IQRF gateway and press the button on PowerCable IQRF (the yellow LED lights up). To disconnect from the IQRF network, go to the network settings. Metered smart IQRF power outlet 230V / 16A. Socket type E – FR is used in France, Belgium, Czech Republic, Slovakia, Poland. Metered smart IQRF power outlet 230V / 16A. Socket type F – DE Schuko is used in most European countries.